An unusual beetroot producing brilliant orangey yellow roots which mellow to a rich golden colour when cooked. 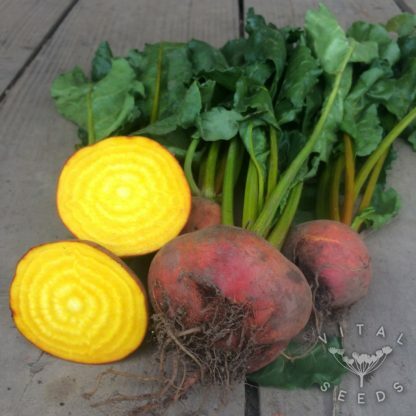 Developed by breeders at the Burpee seed company in USA in the 1940s, it quickly became a hit with gardeners due to its sweeter and milder flavour compared to other beets. It is a key ingredient of Ronja’s delicious raw beetroot salad!